Grange is a small village in the Slieveardagh Hills on the Tipperary border with County Kilkenny. 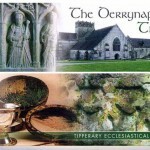 It lies just east of the magnificent ruin of Kilcooley Abbey which was founded in 1182. 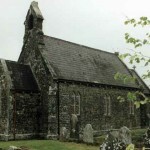 Grange derives its name from it being an out-farm or Gainseach (in Gaelic), of Kilcooley. The medieval Tower-House Castle would have protected the area for the Abbey and its estate. 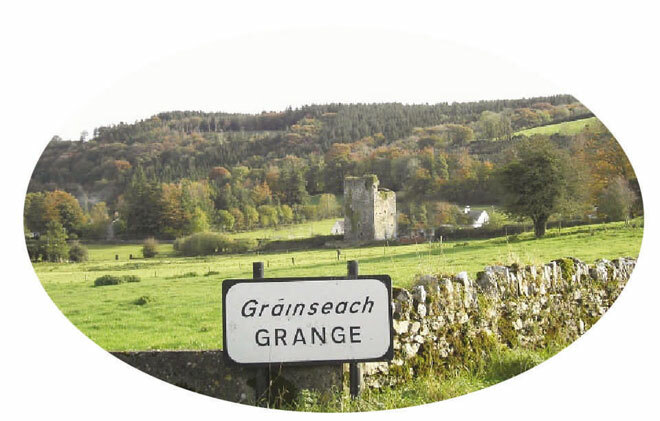 Grange is acknowledged as extremely scenic and interested in its Historical heritage. 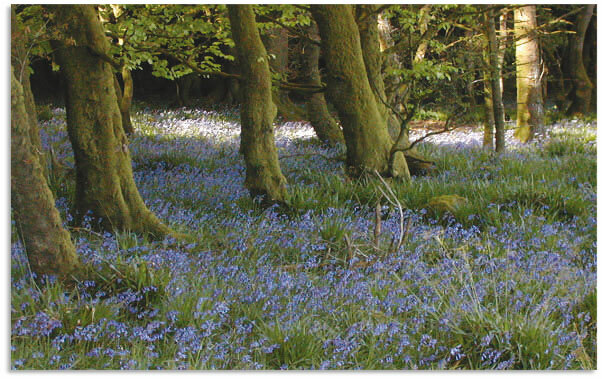 The area is host to a range of wildlife including fallow deer, red squirrels and many species of native flowers. There are two interlinked looped walks in Grange. 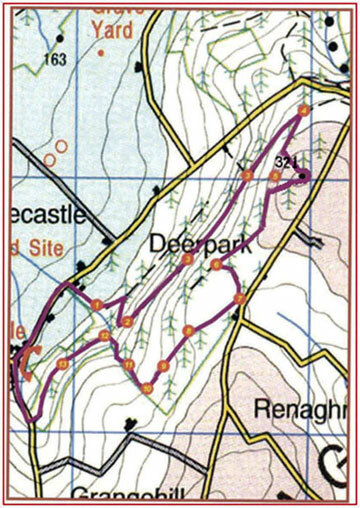 The shorter walk is the Grange Loop and the longer the Crag Loop. This is a short walk of about 30 mins to 1 hour’s duration and is suited to those looking for a short pleasant stroll. However good shoes or boots are advisable as the route follows an unpaved forest paths. Point 1 to 2. With your back to Hogan’s Bar, turn left and follow the green arrows along the surfaced road. The green arrows are for the shorter Grange Loop. 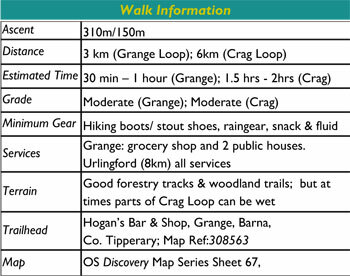 Walk for 500m to reach the entrance to Grangecrag Woods on your right. Turn right here. Points 2 to 5. Follow the woodland track for 300m to reach the site of an icehouse where you veer left. After another 200m you reach a 3-way junction – turn right here, still following the purple and green arrows. Continue to ascend along the forest road to reach a 3-way junction where the green loop turns right onto a grassy trail. Point 5 to 7. 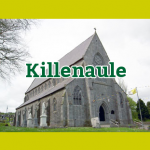 Follow the trail for about 150 metres to a fine view over the village of Grange, with Kilcooly Abbey in the middle distance and the Devils Bit Mountain on the western horizon. Point 8 to 1. Continue on the trail down to the kissing gate and public road. Turn right and walk the 200 metres downhill to the village and some refreshments in the shop or bars! In 1817, Sir William Barker, the then landlord of Kilcooley Abbey estate caused a large structure to be erected in commemoration of the Duke of Wellington’s victory over Napoleon Bonaparte at the Battle of Waterloo two years previously. The Wellington Monument has a finely carved dedication stone on its 15 foot high west or ´front end´. The south side is also impressive but the remaining side of the monument is half the ‘Light’ and clearly shows that the structure was designed to be viewed from the west and from Sir William’s manor house at Kilcooley a mile away. 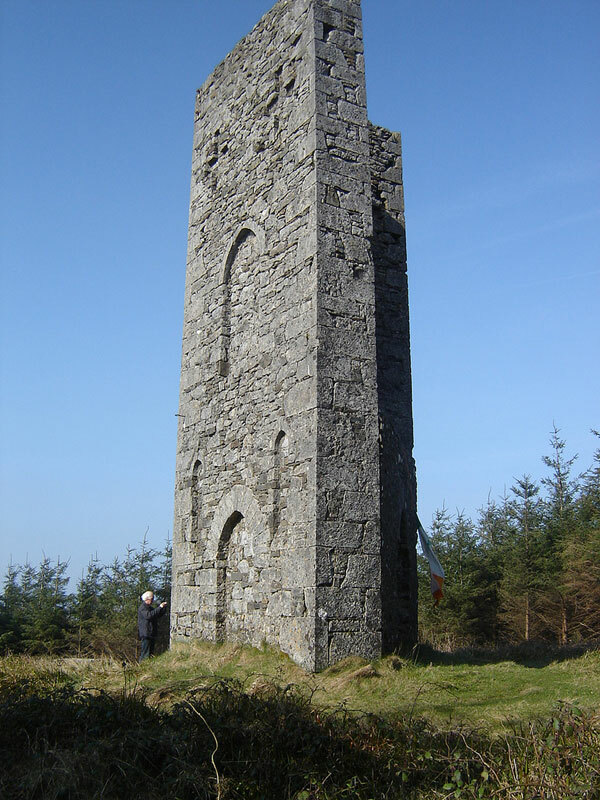 The monument – technically called a folly, became completely hidden by forestry in latter years and its reappearance in the early 1990’s, following Coillte’s clear felling was a pleasant surprise to all. The looped walks pass a fine example of an ice house. Usually only large manor house like Kilcooley Abbey estate had purpose built buildings to store ice and preserve food.The typical ice house was an underground chamber, usually made man made. Our example being banked over with earth serves the same function. It was usual to construct an ice house close to a source of winter ice, for example freshwater lakes or slow flowing rivers, this allowed ice to be collected when water had frozen over in winter and convenient to transport for storage in the ice house. Where ice was scarce it was often imported from Scandinavia and elsewhere up until the 1950’s! To keep the ice frozen, doors or openings were built facing north and straw or sawdust was added between layers of ice to act as insulation. The ice would stay frozen for many months, and was used to preserve and chill food all year round. The Grange ice house also houses the water filtration system for Kilcooley Abbey Estate which flows the mile to the ‘big house’ through a cast-iron pipeline. 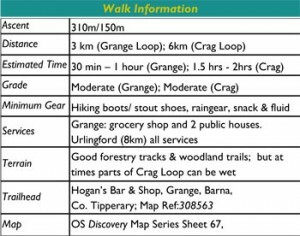 The two ‘loop walks were developed by volunteers of Grange Development Group— a local committee of Slieveardagh Rural Development. The walk is largely on property leased by Coillte from the Ponsonby family. Thanks to both for their permission. 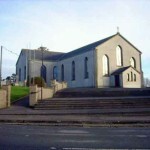 The capital construction costs were funded by Fáilte Ireland and the labour and maintenance was undertaken by the volunteers and the hard workers of the ‘Rural Social Scheme’ of initially, Barrow Nore Suir Rural Development and South Tipperary Development Company from 2009. Thanks to all of these and others involved for their generosity and help!